We are all familiar with the day-to-day activities happening throughout our organization. Lots of things are happening and this information is being captured in our Asset Management System throughout the day, week month and year. Information is an asset in and of itself, but it is neglected at many organizations because of the focus on “today’s” activities. 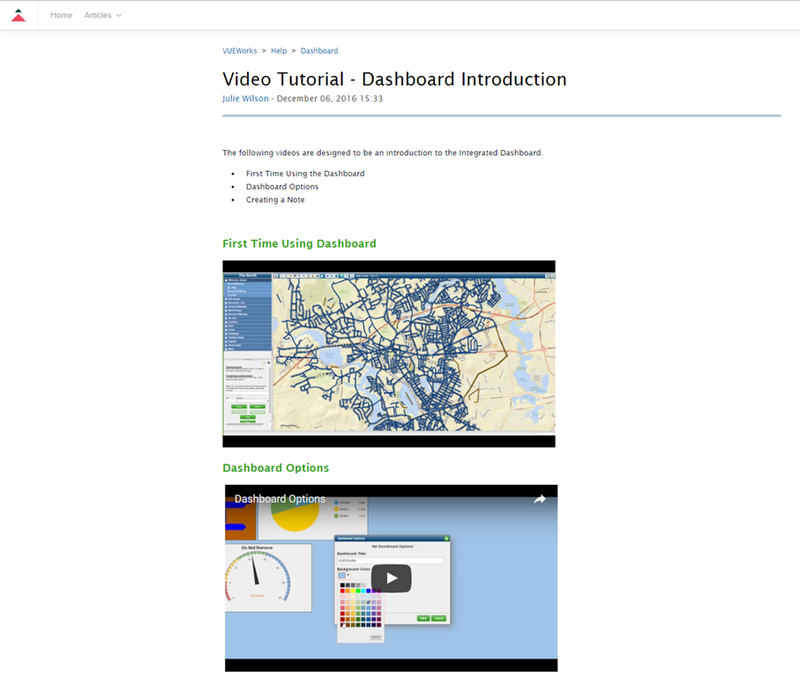 Dashboards can provide a passive way of visualizing data so that Performance metrics can be monitored (e.g. How many Issues are older than 24 hours?). 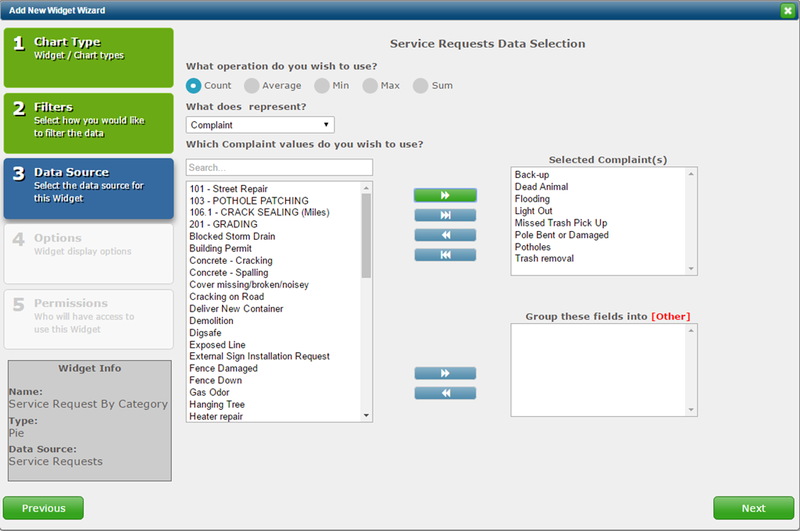 It can also provide Insights into your data that are not easily seen in tabular layouts of data Filters and Reports. This information should be presented to the Asset Management user in a way that is relevant to their day-to-day activities and should be interactive, giving the user control over the information in front of them. Provide a Unique User Experience, focused on the Individual User as well as Groups of Users who share the same, common information. 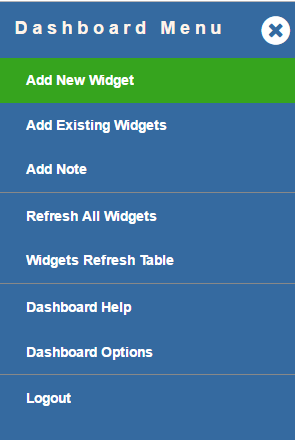 Provide a Wizard-driven User Interface (UI) to make it easy for anyone to author their own Dashboard Widgets. 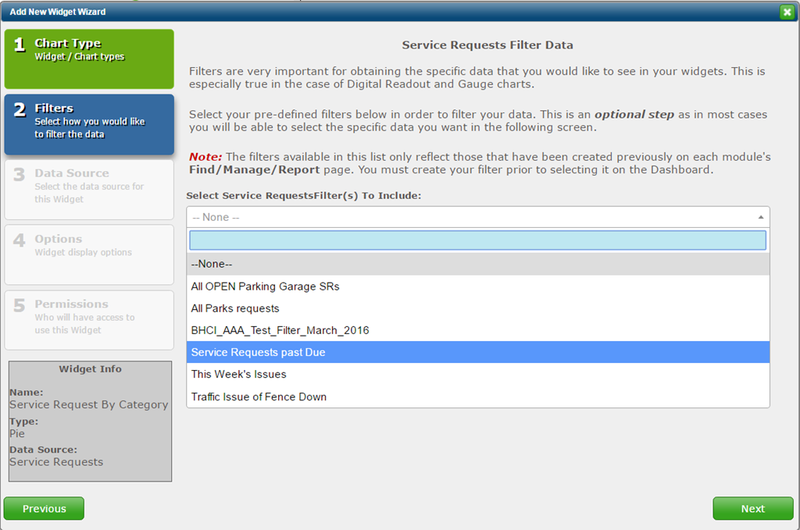 Expose all Data Sources and GIS Layers to allow for ANY type of Dashboard to be created. 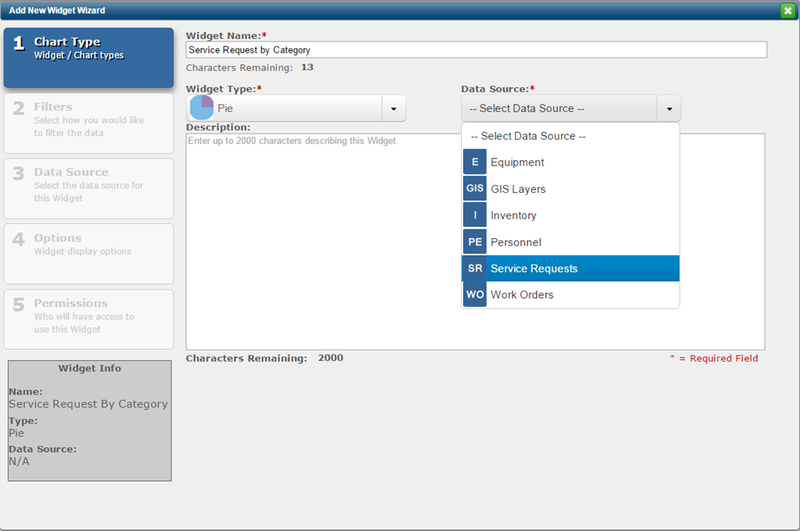 Provide a series of commonly used Dashboard Widget Types and share them among users within the organization. 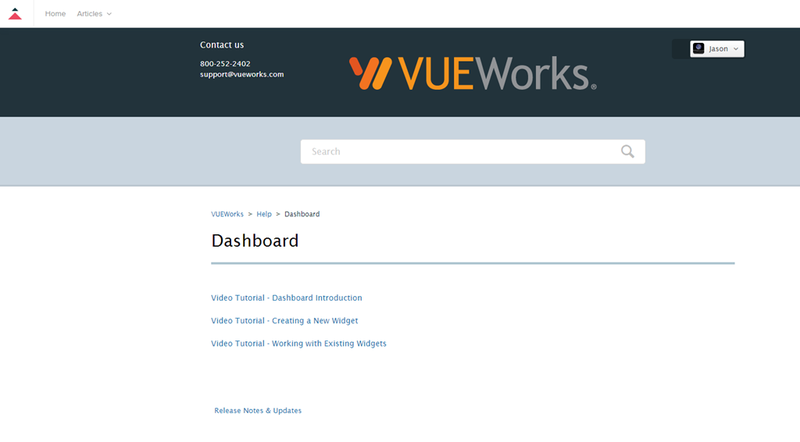 Integrate with / Leverage Existing Filters throughout the VUEWorks interface to make it easy for users to get their specific data delivered to their Dashboard without having to re-create anything. Provide a series of Mathematical Functions (e.g. Count, Average, Min, Max, Sum) that can be organized by Values (Good, Fair, Poor) or Ranges of Values (Bins). 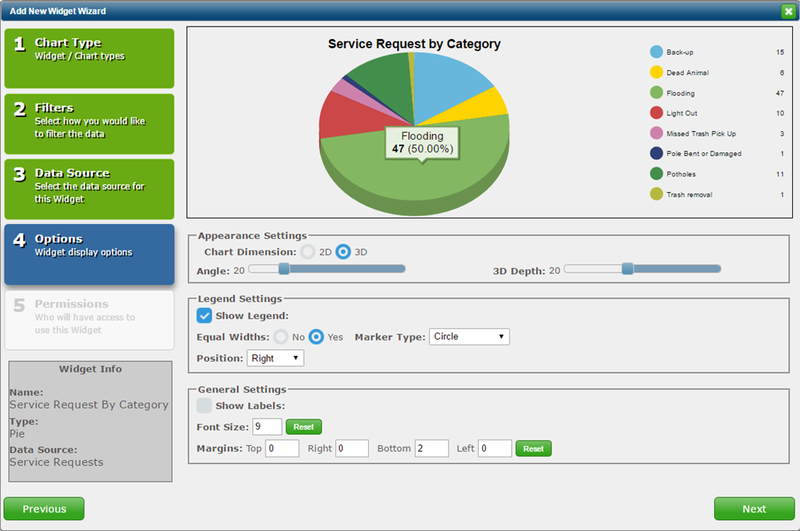 Allow the user to change the Appearance (2D or 3D), Legend Settings (Marker Types, Position) or General Settings (Labels, Font and Margins) related to the Widget. 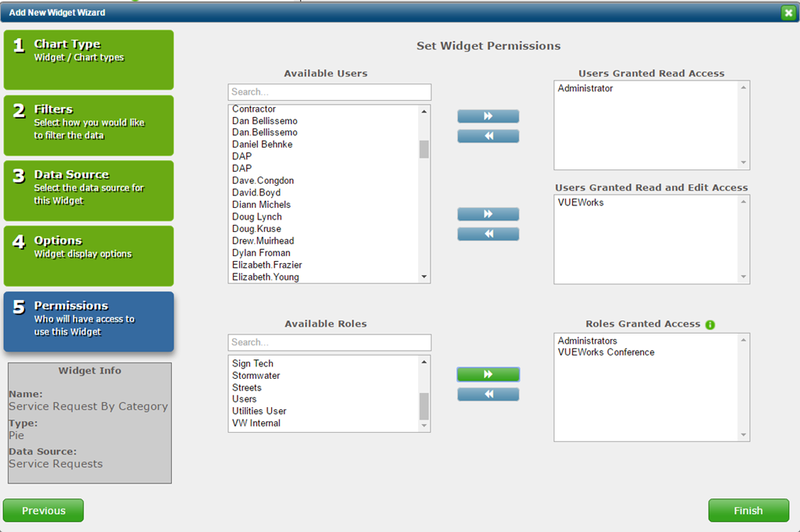 Integrate with Existing User and Role-based Security found throughout VUEWorks. Provide easy to use Help and On-line resources to help train users and expose them to new functionality. MAP-21 addresses all things related to federal funding and oversight of our nation’s surface transportation and transit systems. The 581 pages of the act are broken down into eight major divisions. These divisions are further delineated into titles and subtitles. Although MAP-21 deals with numerous subjects from national freight policies to how transit funding is calculated for metropolitan planning organizations, our focus today is the portion that addresses how and to what extent State DOTs must proactively manage road and bridge networks through the use of risk-based asset management planning. The FHWA has developed a proposed rule focused on clarifying and enacting the provisions of Section 1106. Section 1106, which requires a Risk-based Asset Management System, is influenced by Section 1203(a), which establishes national standards for performance management, targets and metrics. These performance measures are intended to provide standards for the inspection of infrastructure assets, pavement rating and maintenance for the National Highway System (NHS) non-Interstate pavements and NHS bridges. Section 1106 is also influenced by Section 1315(b), which requires State DOTs to conduct statewide evaluations to determine reasonable actions or corrections that can be taken on a project basis to alleviate the need for repeated repair or reconstruction of roads, highways or bridges that frequently require attention after an emergency event (i.e. weather event). As part of the Asset Management Plan, the Notice of Proposed Rulemaking (NPRM) has outlined the following process for State DOTs to use in the development of their Asset Management Plans. This process will need to be documented and discussed in each State DOT’s initial submittal of the plan to the FHWA for program certification. The State DOT will establish a process for conducting a statewide performance gap analysis of the state’s Interstate and National Highway System (NHS) road assets. The process must also address strategies for closing any identified gaps. A performance gap analysis identifies deficiencies in the areas of asset condition, capacity, design or travel safety that are below the desired system performance level for those assets on the NHS as established by the State DOT. 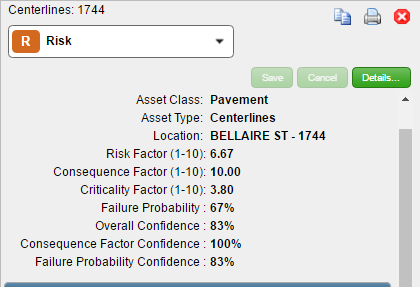 The following graphic illustrates how VUEWorks can provide multiple Budget Forecasting scenarios can be run against an Asset Class (Pavement, Bridges, Stormwater, etc.) to determine the level of funding required to maintain the system in a state of good repair. The scenario can be run to see what funding is required as well as what existing funding will accomplish for the DOT’s pursuit to achieve a specific level-of-service (state of good repair). The State DOT will establish a process for conducting life-cycle cost analysis (LCCA) for the different asset classes that collectively make up the network in order to develop a Strategic Treatment Plan (STP) for the life of each asset – from the current state of the asset until its ultimate reconstruction, replacement or disposal. A Strategic Treatment Plan looks at all possible treatments over the life of an asset to keep the asset at a performance level that is cost-effective and does not compromise the network’s capacity, safety or long-term life-cycle cost. 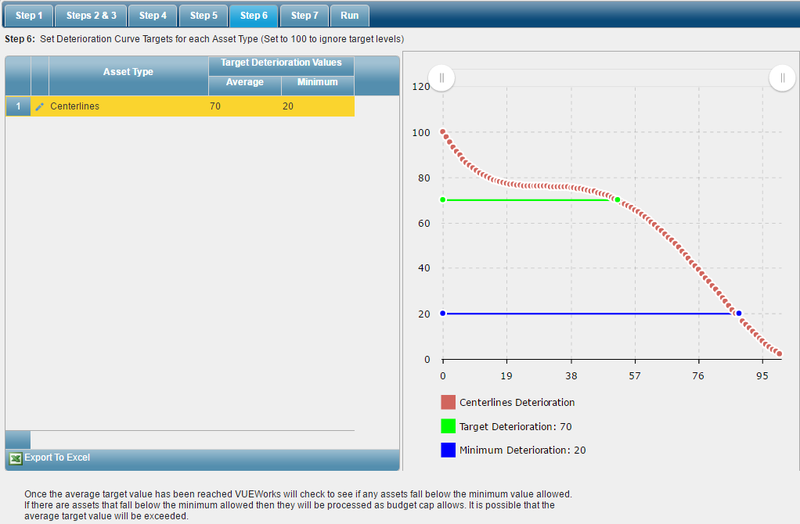 As illustrated below, VUEWorks can be utilized to develop a strategic treatment program for the life-cycle of an asset. 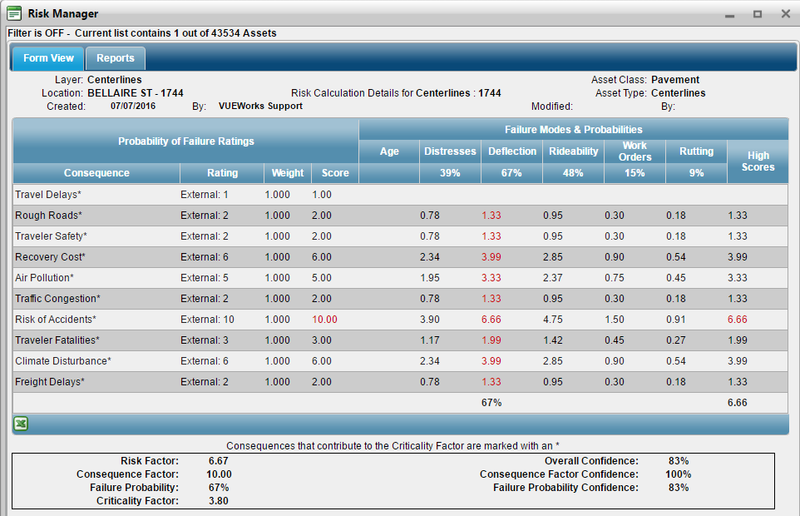 The current deterioration model and condition score for an asset can be compared to its projected life-cycle based on the results of each scenario. Specific preservation or rehabilitation techniques can be specified to achieve a state of good repair. The State DOT will establish a process for assessing risk related to a given NHS asset that could impact that asset’s physical condition, capacity or performance in emergencies or over the long-term. Risks to an asset’s physical condition or its ability to perform can include one or more factors including extreme weather and climate change, seismic activity, traffic volume, traffic loads, sub-par construction materials, time between treatments, etc. As part of the State’s Risk-based Asset Management Plan, the State DOT will be expected to develop an approach to monitor, measure and report on high-priority risks to an asset’s or network’s performance. 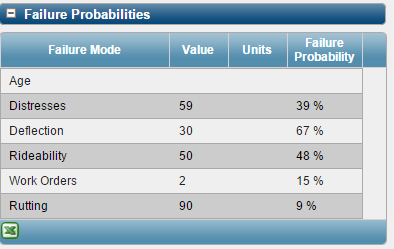 Here is an example of a true Risk matrix based on the requirements of MAP-21. 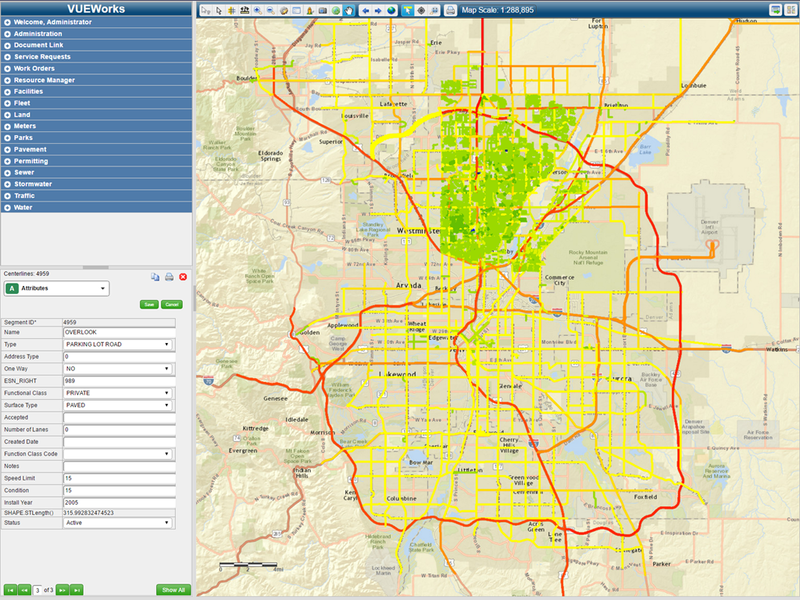 This matrix is reading information from multiple data sources (Linked Data, GIS data and Condition Data) that is tracking each Risk category against each section of road. 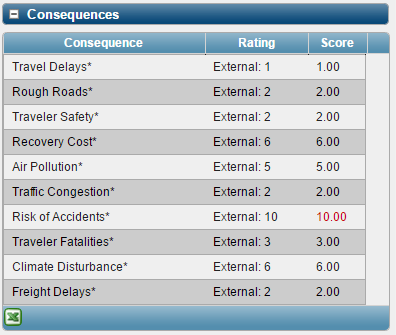 The matrix displays each individual category of Risk, ranks it on a scale from 0-10 and then summarizes the Road network as a whole for the DOT. The State DOT will establish a process for developing, managing and updating a 10-year financial plan for the construction, maintenance, repair, rehabilitation, reconstruction or disposal of assets in the NHS. The process must allow the State to determine the estimated cost of future work based on the Strategic Treatment Plan (discussed in Item 2 above) and the estimated available budgets. Budget scenarios can be run against any Asset for any planning horizon to establish a financial plan for each Asset Class and Asset Type. Different strategies can be employed for each asset to identify the most effective maintenance, preservation or rehabilitation plan for the asset based on the best practices employed by the DOT. The State DOT will establish a process for identifying viable investment strategies for funding long-term operations. This is to ensure that assets along the NHS are maintained at a level that will help the State DOT achieve asset condition and performance targets in alignment with the national goals set forth under United States Code. 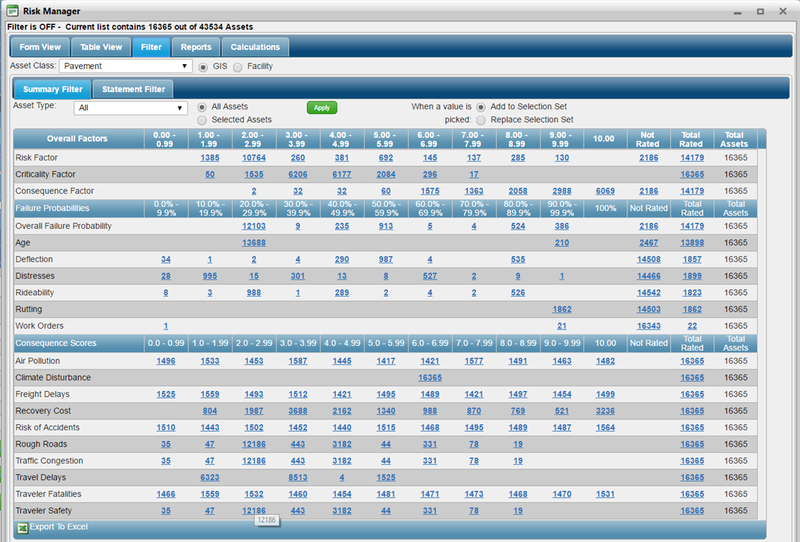 VUEWorks provides the ability to run budget scenarios for each Asset Class and Asset Type to determine the best investment strategies for the Asset’s Life-cycle cost. Target Deteriorations can be set for the Asset Network (Pavement , Bridge, etc.) and VUEWorks will identify the Target Deterioration that can be achieved or the Funding Strategy required to achieve these goals. The State DOT will use a Pavement Management System (PMS) and a Bridge Management System (BMS) to analyze the condition of Interstate and NHS pavements and bridges to develop, manage and monitor targeted investment strategies. 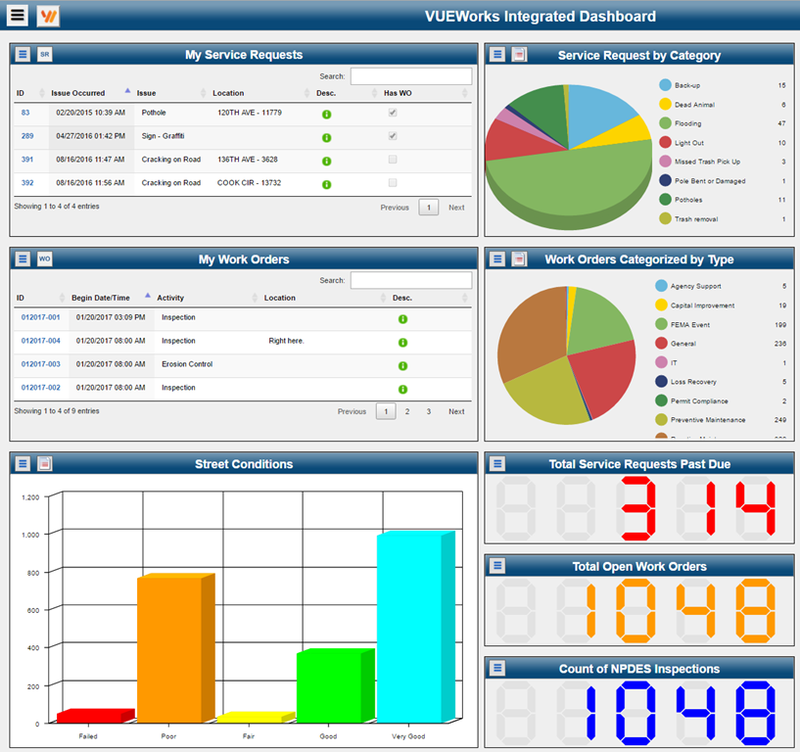 VUEWorks provides a single, Enterprise Asset Management Solution for State DOTs. Any asset can be managed within VUEWorks and the guiding principals of MAP-21 can be implemented as part of the DOTs day-to-day Asset Management activities.